Meet Bailey. She’s into singing, the beach, and broccoli. She conquers life in black TOMS while rocking out to Ready to Go by Panic! at the Disco. As far as music is concerned, Pierce the Veil, Crown the Empire, Panic! at the Disco, Get Scared, and Hands Like Houses are some of her favorite artists, and she digs watching the television series How I Met Your Mother. Oh, and she sports some rockin’ blue hair. After graduation, Bailey plans on attending the University of South Florida to study psychology. 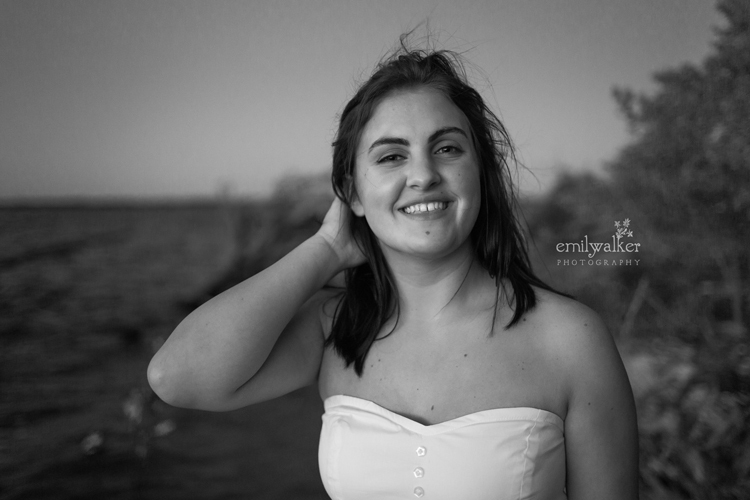 PSA: I want to give Bailey a major shout-out for wading out into the river with me for some shots. Only till after I made a big point that oh-my-gosh-something-just-swam-by-my-leg did she tell me she’s terrified of being in the water with fish. Bailey, props for being a trooper and going along with my ideas. We were blessed with some amazing light and weather on the day of the shoot- a rare showing of Florida weather’s good side. This was a fantastic and slightly salty and wet session (yay, salt spray! ), but we had a good time. Bailey, I wish you the best in all you do! Go out and live your week to the fullest, friends! This entry was tagged 2014, class of 2015, emily walker photography, fun, island, light, natural light, outdoors, outside, Panic! at the Disco, photoshoot, portraiture, senior photographer, senior photography, seniors, University of South Florida. Bookmark the permalink.